Worried about buying your tri kit online? Don’t be – we can help! Trigirl sizes are very similar to your typical dress size. 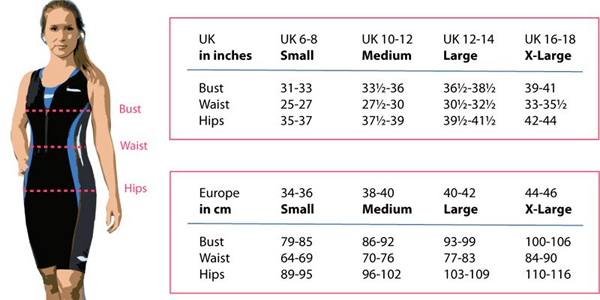 Trigirl size small is equivalent to a UK size 6-8, medium is a 10-12, large is a 12-14, and x-large is a 16-18. Your triathlon kit should fit snugly- no creases, gaps, or excess material. If you are between sizes, consider ordering the smaller size. Don’t worry- Trigirl kit is so flattering, you’ll feel confident even though it’s fitted! For a one-piece tri suit, take into consideration dress size and torso height. If you are long through the torso, you may want to go up a size. Inversely, if you are short through the torso, consider a size smaller. If the measurement guide suggests that you need different sizes on top and bottom, why not try a versatile two-piece triathlon kit? You can order two different sizes to perfectly suit your shape! Need extra bust support? Many of our tri suits and tri tops come with separate support tops, meaning that you can wear the support top, your favorite sports bra, or double them up for the ultimate support. Please note: the Anita bras we recommend for triathlon in our Trigirl webshop may be sized differently from your normal UK bra sizing. 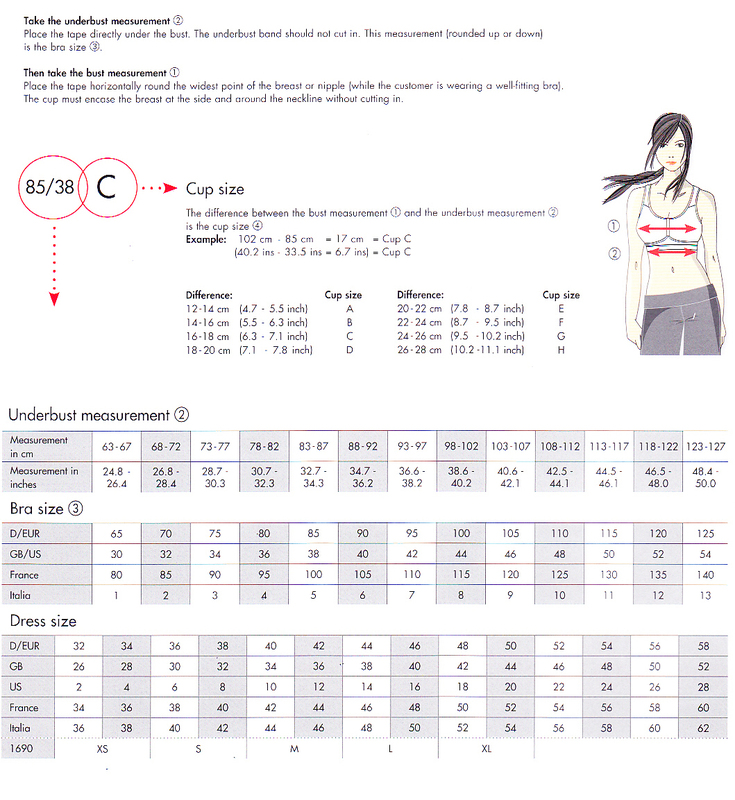 We recommend that you refer to the Anita Active measurement chart for specific measuring advice and accurate sizing information. Please click here for the Anita Active measurement chart. Of course, we are always happy to answer any further fit questions that you might have. Just email us and we’ll get back to you right away. And if it still doesn’t fit? We are glad to exchange your purchase for the perfect size.